Suppose you are a CEO of a company and moving out of office for business meeting for a week. You need access to your latest company financial data or inventory data. Here only way to get access to tally data is if somebody sends data via mail or sends backup of data. But isn't it a good idea if he can get the updated transactions with a press of few buttons. No need to send reports or take backup etc. Tally has a unique feature of Synchronize by which this thing is possible. With a few settings at his end he can update his tally from his company server and that also without having live ips. Lets see how tally synchronizations ca be achieved. You need at least two tally license out of which one should be multi user. You need internet connectivity at both ends. Broadband would be fine but you can do it on dialup also. 1. First of all setting in tally.ini files has to be done at server computer as well as client computer. 3. After setting server client machine needs to be configured same as in F12 configuration and then in import data option. 4. Client rules are needed to be set up in client machine and proper setting is needed. 5. While Setting rules two things are needed the be specified correctly, One the tally link id and the exact name of the company. 6. Synchronize from client machine and see the change in statistics. Click the link to see whole process in presentation format. Note down the error message act accordingly. can you synchronize tally data on two pc's offline? i.e. without connecting the internet. either by pen drive or CD? Is it possible to synchronise data from international branches as well ? They also run icensed tally software. 2. "Honor Expirty Dates usage for Batches" in F12 Inventory Vocchers. 1. "Specify Default Ledeger Allocation for Invocing" in F12 Inventory Masters -> you will enter Stock Item Quantity in Sales Invoice & Sales ledger automitacly taken as specified as first Entry or Stock item Creation. 2. "Honor Expirty Dates usage for Batches" in F12 Inventory Vocchers -> Entry & Report as Medical or Consumer Goods Items for whose stocks have Expeiry Date. Can we have synchronization between server and laptop user (ip address changes as per branch offices). The connectivity between client and server would be by LAn and leased line. How will be authentication in data synchronization. 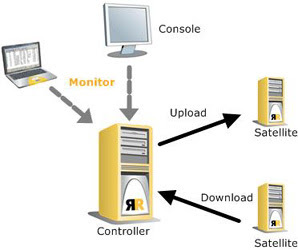 How we have synchronization between server and laptop user ? I am using leased line.